What is a Service Tag? 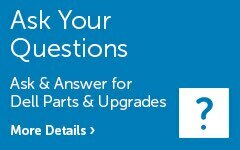 Login to your account to find parts and upgrades for PCs purchased through Dell.com. Prices and specifications are correct at date of publication but subject to availability or change without notice. Promotional deals apply to maximum order size of 3 desktop or laptop systems. Dell cannot guarantee that promotions and prices listed online will be available to purchase by telephone. RETURNS POLICY: Dell’s “Returns Policy” found at https://www.dell.com.sg applies to all sales. Choose carefully, as order cancellation rights are limited and additional costs may apply. ONSITE SERVICE : Technician, replacement part or unit (depending on service contract) will be dispatched if necessary following phone-based troubleshooting. Subject to parts availability, geographical restrictions (on site and/or next business day service not available in some locations) and terms of service contract. Service timing dependent upon time of day call placed to Dell. Defective unit must be returned or paid for. Replacements may be refurbished . COMPLETECOVER: CompleteCover service is available for personal computers, Axim PDAs, Dell branded projectors and LCD TV. CompleteCover excludes theft, loss, and damage due to fire, intentional damage, acts of God or natural disasters, animals, pets or pests. Customer may be required to return unit to Dell. For complete details refer to CompleteCover service agreement found at www.dell.com/ap/services . This service is only available in selected countries. TRADEMARKS: Ultrabook, Celeron, Celeron Inside, Core Inside, Intel, Intel Logo, Intel Atom, Intel Atom Inside, Intel Core, Intel Inside, Intel Inside Logo, Intel vPro, Itanium, Itanium Inside, Pentium, Pentium Inside, vPro Inside, Xeon, Xeon Phi, and Xeon Inside are trademarks of Intel Corporation or its subsidiaries in the U.S. and/or other countries. ©2010 Advanced Micro Devices, Inc. All rights reserved. AMD, the AMD Arrow logo, ATI, the ATI logo, AMD Athlon, AMD Turion, Radeon and combinations thereof are trademarks of Advanced Micro Devices, Inc. Other trademarks are for informational purposes only and may be trademarks of their respective owners. COPYRIGHT: © 2019 Dell Inc. All rights reserved.